Connor was quite calm on the way to get Evie, but then showed a lot more excitement, as he realised that today we were going to the park! When we finally got there, Connor waited for his leash to be removed and then he bolted. He just couldn’t wait to run around, and see the park and everything in it. 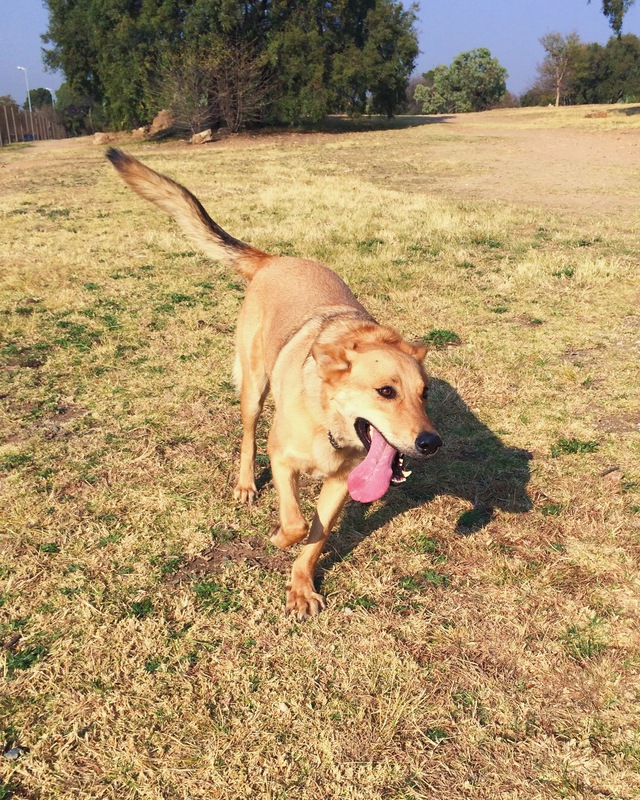 He ran with Evie to fetch the ball a few times, but then went off to meet some new dogs. Connor made quite a few new friends today, and was very friendly and well-behaved. He really enjoyed going off to say ‘hi’ to new dogs, and then racing back to the group as fast as possible, tongue flapping about. After cooling off a bit in the shade, and a short attempt to take photos of everyone together, we were off. We met some more dogs on the way out, and Connor enjoyed that very much. He seems to be quite the socialite! It was a quick walk back to where Evie lives, and the next stop was Connor’s house. He had a lovely walk today, with lots of healthy exercise and socialising. We can’t wait to take him to the park again next week! 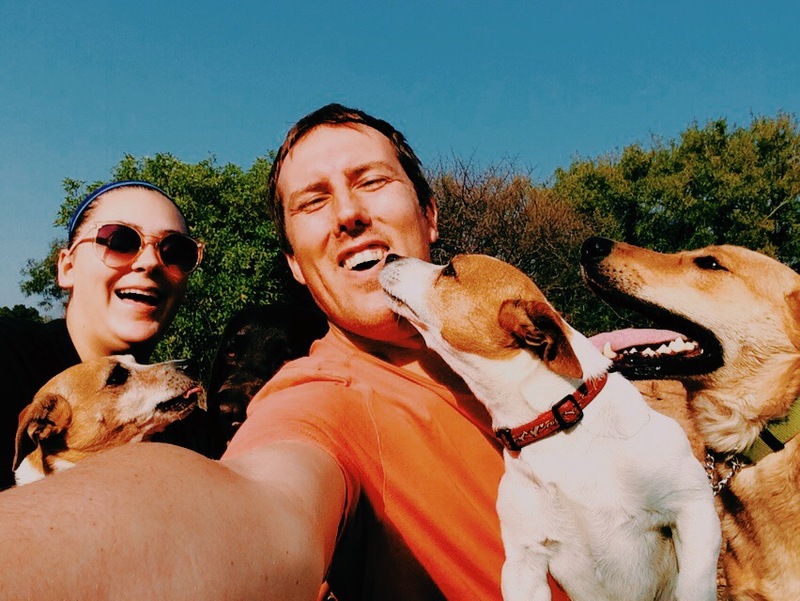 This entry was posted in Dog Walking and tagged #YourHound_SA, Dog walking, Early mornings, exercise, fit, fun, Happy Dogs, healthy, Joburg streets, Johannesburg, Socializing, Sunny Johannesburg. Bookmark the permalink.